Need to sell your house in NJ fast? 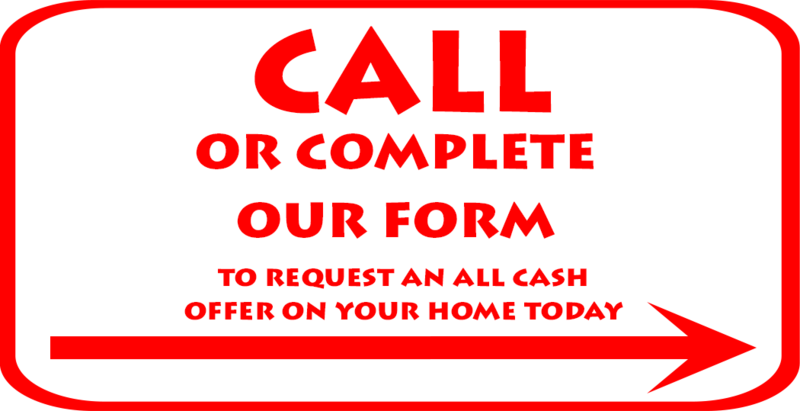 Call or complete form for a FULL CASH offer! The beauty of our process is that it’s simple. First, you reach out to us by either phone or completing our form on the web. Second, we’ll schedule an appointment to meet with you at the property. Our team includes experts in both real estate and construction so we’ll be able to assess the time it will take to perform cleanup, the cost and hours required to take care of all repairs, the investment required for suitable upgrades and the home’s value based on neighborhood comparable sales. Third, within a day or two, we’ll estimate the home’s value, subtract our anticipated investment for repairs, upgrades, cleanup and profit and we’ll make you an offer. This offer will be ALL CASH and will be paid to you upon closing. Since the seller won’t have any repairs, cleanup or other work to do we can usually close and pay you in full within 14 days. Fourth, if our offer is accepted, we’ll begin the paperwork immediately. The seller won’t have to arrange for a home inspection / termite inspection or visits by an appraiser. Expenses that a home seller usually has to pay such as Realtor’s commission, closing fees and the previously mentioned repairs & cleanup are all taken care of by CERO Properties. Once the deal is signed the seller can start packing and begin the moving process, since CERO Properties handles all the cleanup, you won’t have to bother with it. (no scheduling addition trash pickup, dumpster rentals, Goodwill pickups. After our offer is accepted the deal typically closes within 14 days at which time you’ll be paid in full. Contact us to request an offer on your home today! Homes often change ownership through inheritance, people inherit homes from parents, grandparents, aunts, siblings, etc.. and sometimes the responsibility of owning these inherited homes don’t fit into a person’s plans. There can be a number of reasons for this, first, the home could be geographically too far away to manage as a rental or too far away from your current life (job, school, friends) to consider relocating your family. A sale might be considered but a home that’s hours away may prove too difficult to perform all the repairs and cleanup required to put the house in “saleable shape” and if that work is done primarily on weekends it could take months or longer to prepare the house for sale. Finances may also be a factor. A person living in a home for many years may have grown comfortable and not upgraded bathrooms, kitchens, flooring, etc.. in a while. Painting & carpets are frequently refreshed when a home is put on the market and in an inherited home situation the expense of significant upgrade may be a prohibitive investment just to sell the home. Aside from geographic issues, family politics can also come into play when an inheritance is split among multiple parties – some family members may feel they are doing the bulk of the work, others may disagree about the types of repairs or upgrades required to sell the home, these can be times where it’s best to sell the home quickly, split the proceeds and move on. 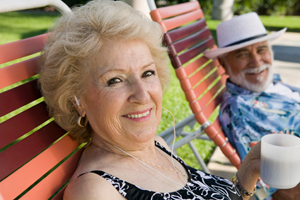 We have helped many seniors move on the the next phase of their lives by purchasing their homes “as-is” for cash. Readying a home for sale is a large undertaking especially when a person has lived there for decades. Many times a senior’s house will have original fixtures and cabinetry (kitchens, bathrooms) which may make the house seem to be less attractive than neighboring homes on the market. Coupled with possible interior upgrades, the entire house may require a fresh coat of paint inside and out. Added to this, repairing a leaky basement, replacing an old roof or prehistoric appliances (furnace, air conditioner, oven, stove, dishwasher) can not only cost many thousands of dollars but the time and hassle of coordinating contractors and purchasing new equipment can be exhausting. Some seniors would rather not spend their days working as their own general contractor and rather move on to the next stage of their lives. This is where CERO Properties can help, by assuming the cost of the upgrades and repairs and helping seniors with a speedy sale of their home. There’s the tree knocked down by a storm that demolished the family room or the kitchen fire that will take 7 months to repair, (not to mention 7 months of microwaved meals cooked in your makeshift kitchen set up in what was once your beautiful living room), these unexpected situation that may only last a few minutes can take months or years to unravel. The notion of camping out in one room while others are being repaired can take a toll on a family and CERO Properties can help by purchasing your home in “as-is” condition. 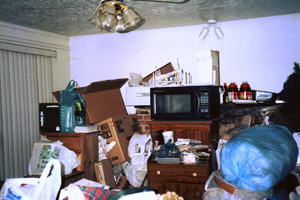 Infrequently (but we’ve seen it) a home can be overtaken by collections, then by possessions they by “things” which can’t be parted with and one day the entire house is overrun by “stuff”. This is a very delicate situation where hoarding behaviour takes over and the house becomes unsafe, unlivable (and definitely unsaleable). Cleanup and sale of these houses is a delicate family situation and often best handled by an uninvolved third party. CERO Properties has worked with families to purchase these homes, as-is, and manage cleanup in a very respectful and dignified manner. Is CERO Properties’ CASH NOW Advantage as beneficial as working with a realtor? Wouldn’t I make more money with a Realtor vs. working with CERO Properties? Interesting question. True, in exchange for all cash in 14 days CERO Properties may offer you less than you may list your house for through a Realtor but let’s consider some numbers. Every month you have a mortgage payment, property tax, insurance, electric, gas, sewer, water, maybe landscaper (or snowplow) and whatever other monthly expenses. The total of all these expenses typically averages about 1% of your selling price. Just those expenses can equal 15 – 20% off your listing price (these are ALL ESTIMATED percentages) and we haven’t started adding up the clean up, painting, new carpets, other upgrades and repairs all of which could easily be thousands or tens of thousands of dollars. Plus – you’ll have to go through this process for months fixing the house up and waiting for it to sell. Compare that to an all cash offer in 14 days from CERO Properties. Come to an agreement, sign the papers, move your personal items and walk away in about two weeks. Of course you have to do your own math and the numbers above are all estimates designed to help you think of all the possible expenses you’ll incur when readying your home for sale. We buy houses in any condition! Homes that require expensive repair, homes that may need extensive clean-up – anything, we’re here to help. HOW FAST WILL WE CLOSE AND WHEN WILL I GET PAID? In 14 days or less or whatever is best for the seller, pending a clean title and no underground oil tanks on the property. WHEN DO I HAVE TO MOVE OUT - AFTER CLOSING? Leave anything you don’t want in the house and we will handle the clean out. It is recommended you move all your personal items before the closing date. HOW DO YOU DETERMINE A HOME'S VALUE? 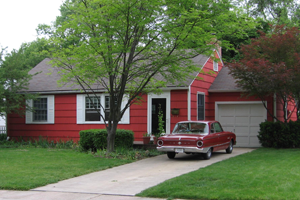 We look at the comparable value of the fixed up houses up for sale in that neighborhood. We then subtract out the amount of materials, labor, overhead and profit required. The amount left over is the offer for the house. This is a huge asset because we take into account the market value of the surrounding houses when we offer our estimate. WHAT REPAIRS WILL I BE RESPONSIBLE FOR? No repairs required. We purchase the house as-is, in any condition. We will set up an appointment to view the house and submit a written offer within 24 hours. Given the right circumstances, we will buy houses anywhere in New Jersey however we have experience and have helped people in Somerset, Union and Morris Counties specifically in Florham Park, Denville, Morristown, Randolph, Rockaway, Berkeley Heights, Linden, Basking Ridge, Bedminster, Westfield, Warren, Raritan. Working with CERO Properties to sell your home can make a difficult situation very simple. Call or click today for your free estimate.